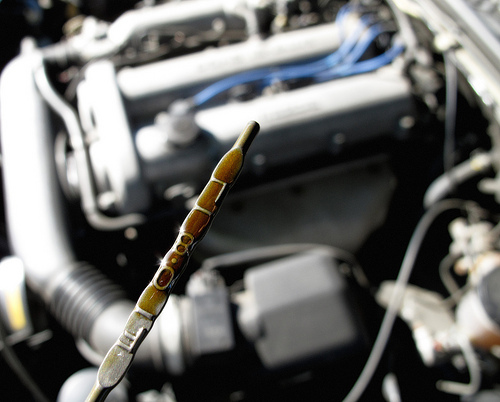 Did you know that keeping your oil clean is the most vital step you can take in order to keep your engine healthy? In addition to changing your oil and oil filter regularly, it is important to check your oil level with the dipstick every time you fill up with gas. Driving your vehicle when the oil level is low deprives your engine of the critical lubrication it needs and can cause severe engine problems. Make sure to keep your oil level full to maximize the life of your vehicle. If any of these occur, that may mean you have water or fuel contamination or your oil level is too high. Make sure to get your vehicle looked at immediately if you see signs of any of the above problems. Jiffy Lube of Indiana centers will check your oil for problems as part of The Jiffy Lube Signature Service Oil Change. Jiffy Lube of Indiana centers will also help you set up a proper oil and filter maintenance schedule to help keep your vehicle lubricated and on the road.